So today’s mantel is a bit different. And I didn’t necessarily have the perfect components to show you but I worked with what I had. 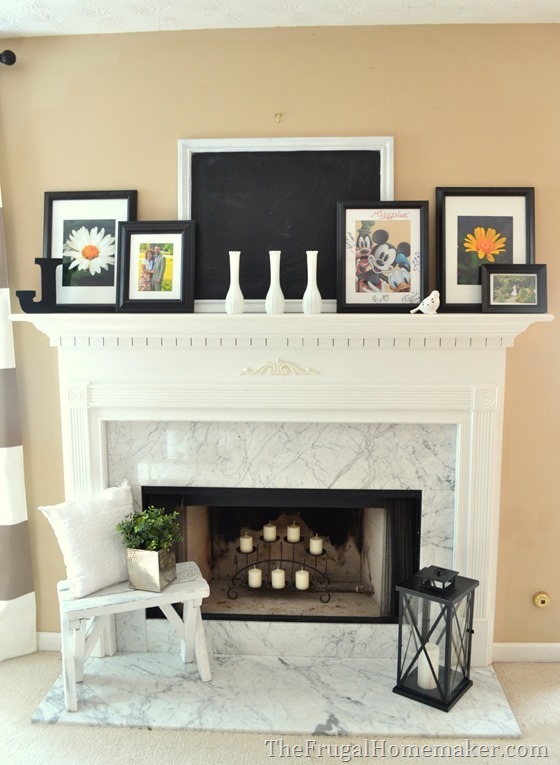 The vision I have for a mantel like this is a collection of family photos all layered on top of each other and grouped together on the mantel. 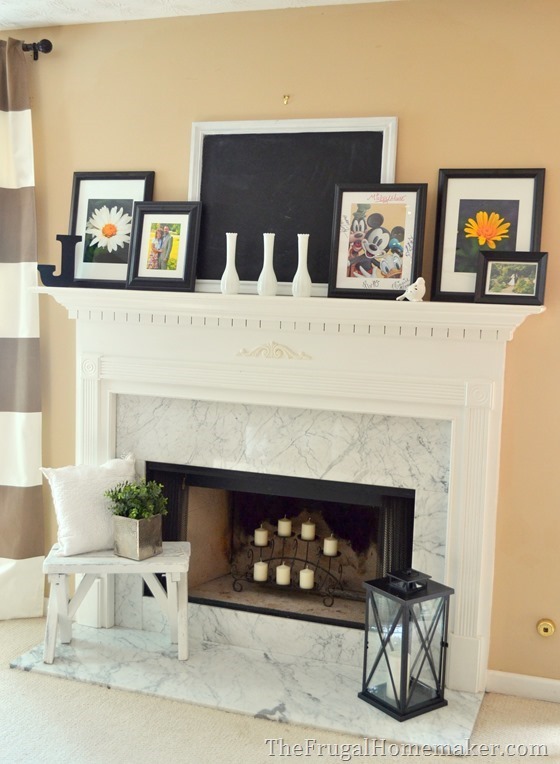 They could be all black and white photos in black and white frames, or color photos in black and white frames, a mixture of photos and frames, all white frames – whatever you like best and what fits the style and décor of your home. And you can add a few little accessories just for interest. I used a chalkboard as the largest frame and you could write some family saying on it, but honestly a large family photo would probably look better. 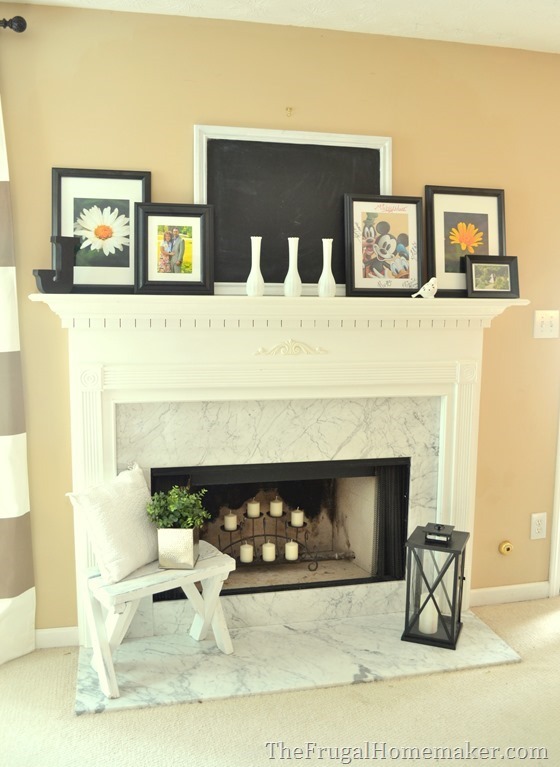 I won’t source this mantel because the accessories you have all seen before in previous mantels and the frames were thrift store and yard sale finds spray painted black. I made the chalkboard and you can find that tutorial here. 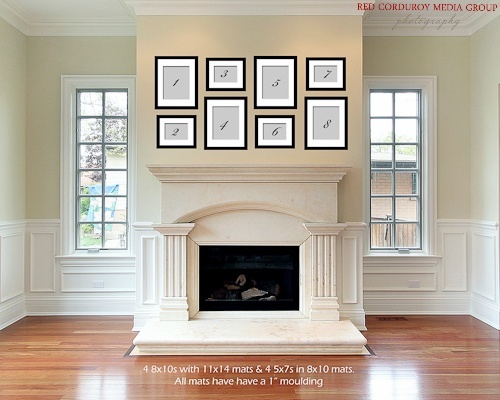 You could even hang them on the wall above the mantel. And I like this mantel by Toni from A Bowl full of Lemons because it still looks decorated with accessories but classic with the photos. Plus I love her chippy frames and accessories! 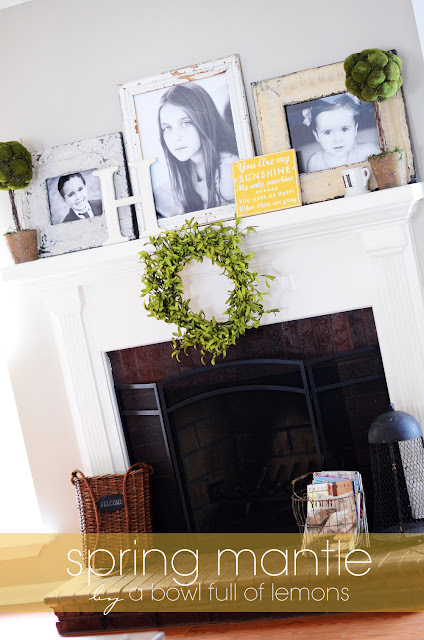 Do you decorate with family photos on your mantel? 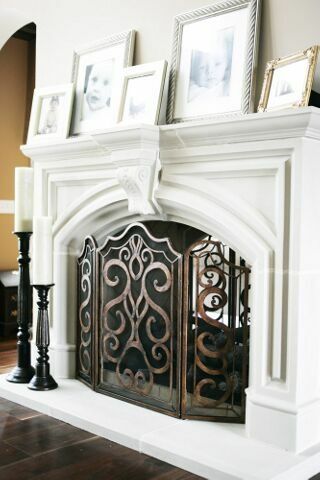 That seems to be the most popular way to decorate a mantel along with a large mirror or a large art piece centered above the mantel. One last mantel tomorrow! Hoping you are enjoying this series. 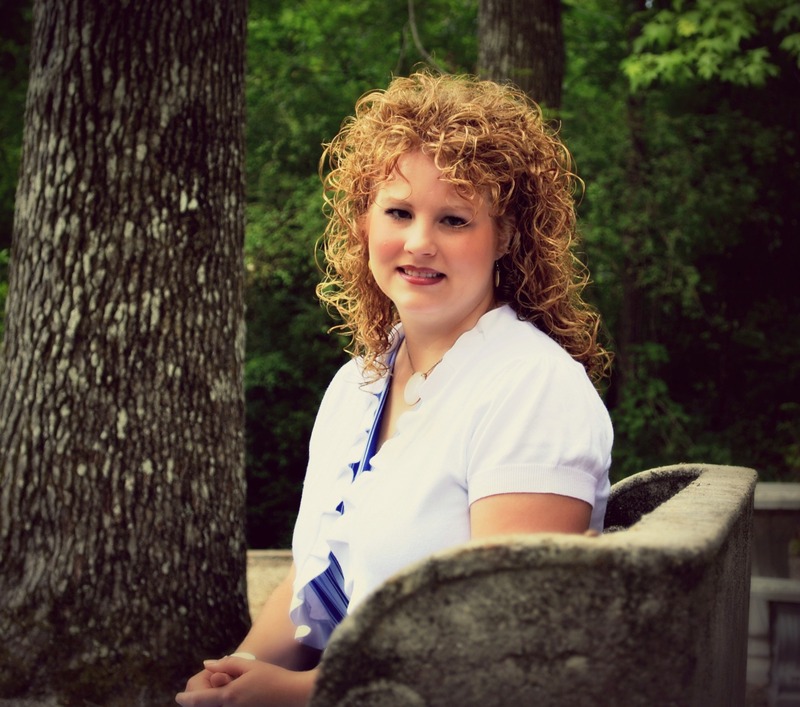 I have been working on some projects this week – spray painting, painting, crafting etc. that I can’t wait to show you in the next few weeks! 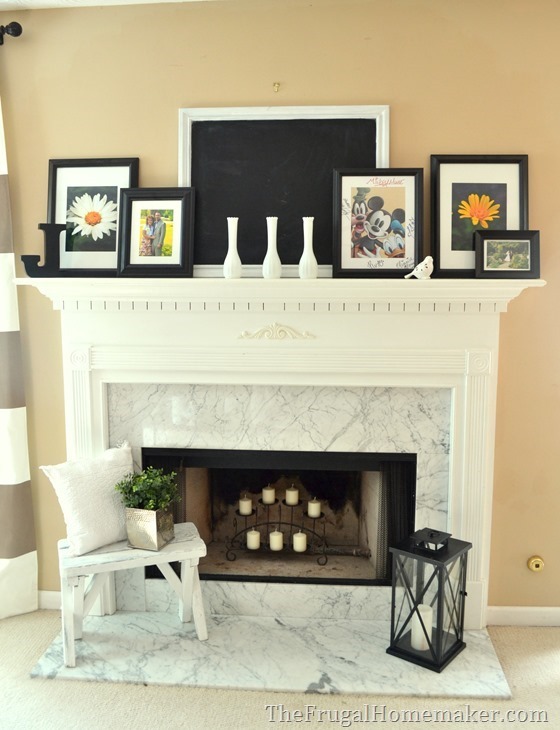 I’ve decorated with family photos on the mantel – have quite a few old pictures in black & white with black frames – but I haven’t used the layering technique. Thanks for the inspiration and good ideas! 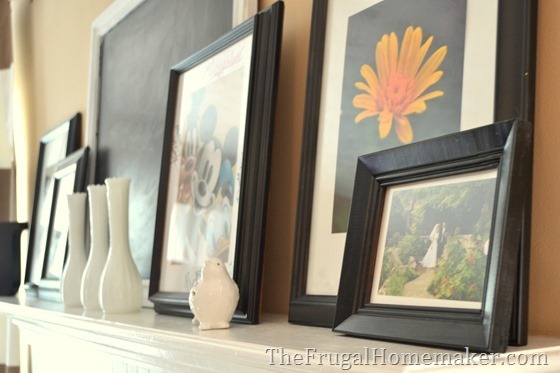 Looking forward to another mantel tomorrow and the new things you’ve been “crafting” this week! 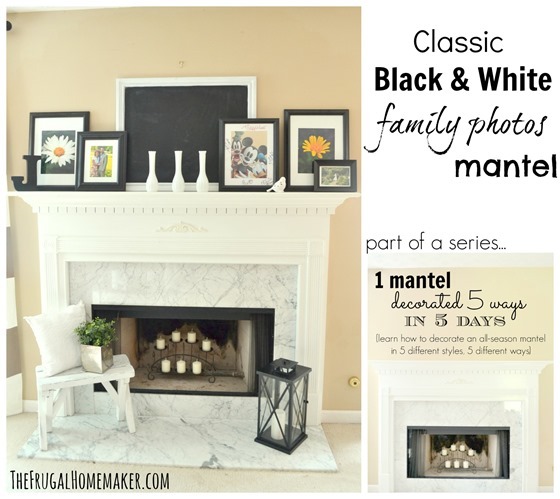 I really enjoyed your 5 ways mantel decoration series. You did a great job with all of them ! 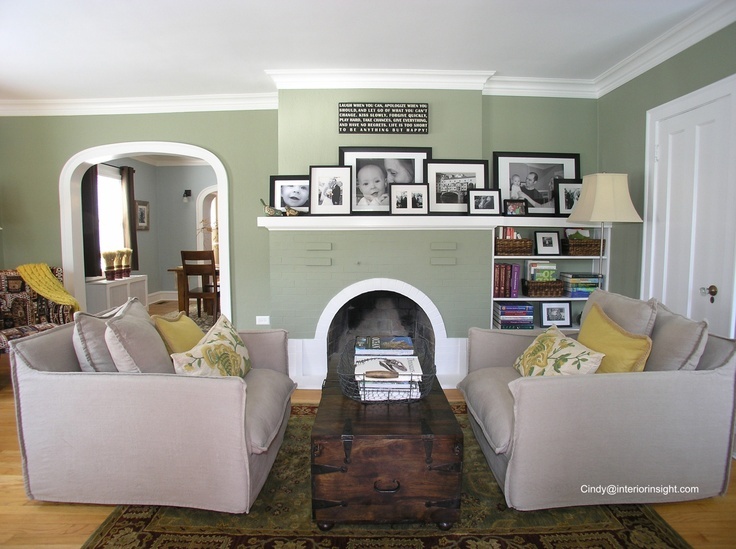 My favorite is the eclectic / clean one ! Cant wait what you have tomorrow ! Have a great day !